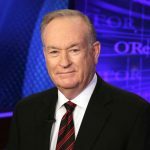 The article notes that Fox has known of O’Reilly’s inappropriate conduct since at least 2002; additionally, the network adopted an aggressive strategy in dealing with women who might be considering filing sexual harassment lawsuits against the host. In 2004, Fox and O’Reilly sued a woman for allegedly seeking to “extort” O’Reilly “in return for not going public with ‘scandalous and scurrilous’ claims about him.” O’Reilly hired a public relations firm to “help shape [his] narrative,” with “[t]he goal [of] depict[ing the woman] as . . . promiscuous . . . , deeply in debt, [and] trying to shake down” O’Reilly. The woman filed suit against O’Reilly anyway, and the two sides eventually settled, with the woman receiving about $9 million. Within days of the NYT story, the advertisers started to flee The O’Reilly Factor. At one point, more than one-quarter of the show’s airtime was purchased by advertisers. But by Friday, April 7—nearly a week after the story broke—advertisers purchased only seven minutes of airtime. In all, more than 50 advertisers pulled their ads from his show. Finally, yesterday, Fox News dropped the axe. It’s an appropriate but long overdue move. When confronted with Ailes’ sexual harassment scandal last summer, the network was already aware of O’Reilly’s issues. But, it seems, so long as those settlements—and any new ones—stayed under wraps, everyone could quietly look the other way. The network could purport to create the culture of respect it said it would following the Ailes scandal. And it could keep its cash cow, O’Reilly. On the plus side, at least O’Reilly (and Ailes before him) was fired. But maybe we’ll get to point where we will eliminate the root problem not because not doing so hurts the bottom line, but because we respect the people in the environment enough not to subject them to the problem in the first place. What remains staggering, confirming the power of greed, is how long it took FOX to do the obvious. Here, here Professor Mazzie! I wonder how many of those companies that righteously pulled their advertising have extensive sexual harassment within their own shops? Furthermore, what about President Trump’s record of sexual harassment? Shouldn’t his corporate financial supporters pull away from him? I agree with your comments, except for saying O’REILLY was wrong about child hunger in America. Here’s why. He had a weekly liberal commentator by the name of Kirsten Powers. 1-2 years ago, they were discussing child hunger in America. She said she knew some kids going hungry in her area. He told her, because of entitlements no one in America is going hungry. He told her to bring the kids to the show and he would provide them with a forum to tell their story. She never produced any hungry children. I am familiar with the SNAP program. (food stamps) From 2011 to 2016 I was on the SNAP program. The government contacted me via e-mail and indicated that I qualified for food stamps, because I had hardly any income. A few days later they e-mailed me that I qualified for heat assistance, and a few days later e-mailed me that I qualified for cell phones and gave me the name of my local food pantry. No one is hungry in America. Only in America. What a country!!!! !